We’ve all heard the expression, ‘Your attitude determines your altitude.” Meaning if you have a great attitude, the possibilities for you are limitless. Our minds and thoughts are powerful, and one way we can overcome everyday problems and even extreme hardship is by having a good attitude, thinking positive thoughts, and having strong faith in God. 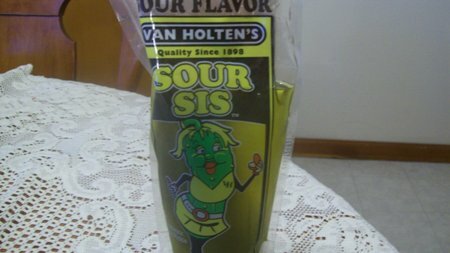 I don’t want to be a “sour sis.” I don’t want a frowning, puckered face. I want to have a cheerful attitude, a smile always on my face, to be a positive, life-giving person, and to have a rock-steady faith in Christ. I.e., I want to be like Jesus. What about you? Do you have “an attitude”? Do you struggle with doubt, negativity, depression, anger, gloom-and-doom expectations, pride, anxiety, stress? Does your “tude” need adjusting lately? ***Want to learn more about having a strong faith in Christ during spiritual battles until you see the victory? Sign up for my update list at http://www.bethjones.net (the opt-in box under the little pencil on the right sidebar of the page). That way you’ll be able to keep up with the latest updates about my ebook on women and spiritual warfare that I’m writing now, which will be available soon.